80% Junk your old desktop and replace it with this big screen multimedia notebook. The latest big-screen Pavilion delivers everything we've loved about the platform and adds new options that are sure to please the pickiest multimedia enthusiast. It's a solid performer that deserves a look from anyone in the market for a desktop replacement. 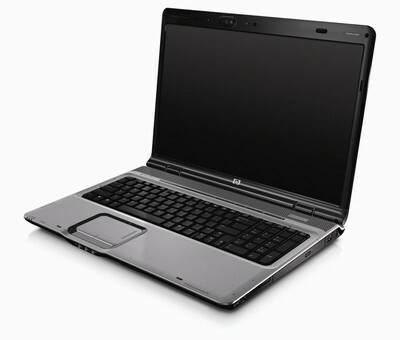 The HP Pavilion dv9200z offers everything you need in a well thought out media system. You can watch high def content on-the-go or on a big screen with full 5.1 surround. The battery life was disappointing, but when DVD drives became the norm, most laptops couldn’t make it through an entire movie either. While none of the Vista-specific hardware bling is included, no current models offer it either. Vista was responsive and smooth, but for those who want to avoid headaches, we would warn against the AMD chip and go with the Intel Core 2 Duo version. The good: Beautiful design; bright, crisp display; complete set of AV controls, ports, and connections, including an HD DVD drive; long battery life; touch pad on/off button; excellent software. The bad: Display resolution could be higher; media controls provide audible feedback when pressed. The bottom line: The HD-friendly, feature-laden HP Pavilion dv9000z offers a high-end entertainment experience without the high-end price tag of competitive models.